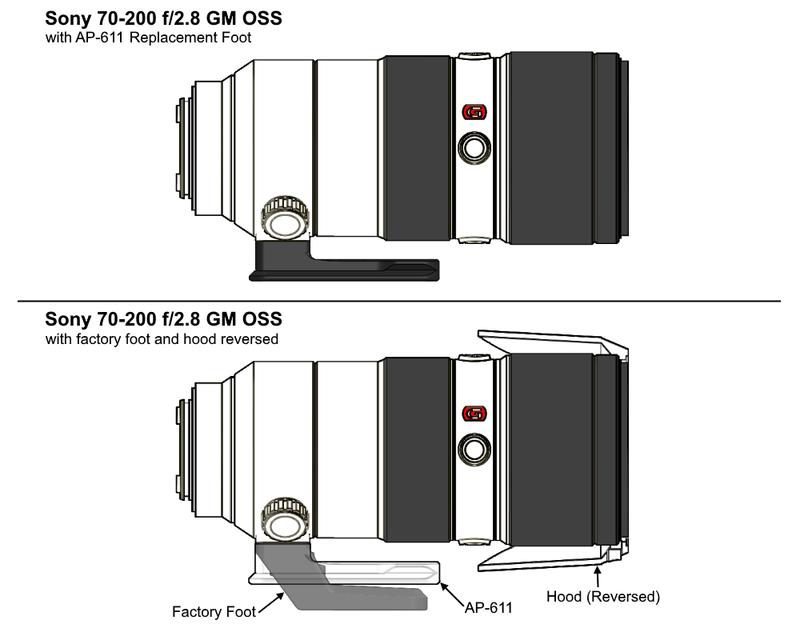 The AP-611 replaces the stock foot on Sony Lenses (See list below, Image of compatibility chart, or our website). 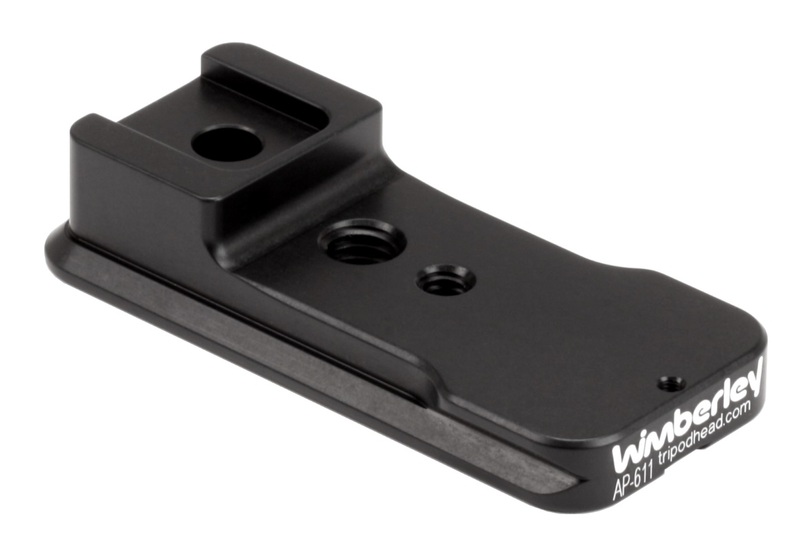 The AP-611 is precision machined to slide right into an Arca-Swiss style quick-release clamp. 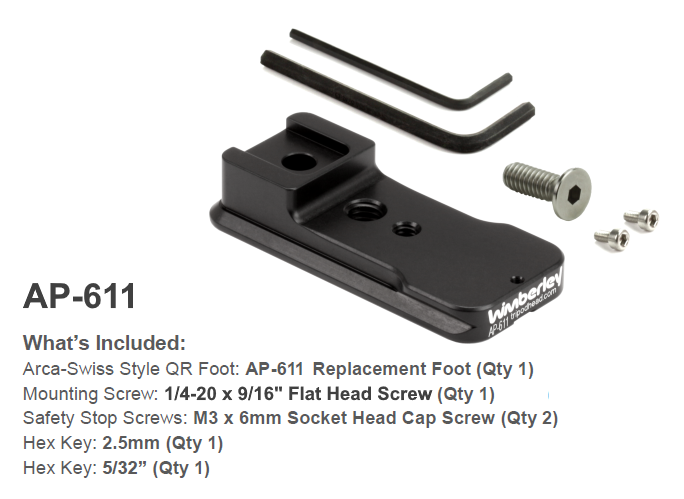 It also has 1/4" and 3/8" tapped holes for mounting to non-quick-release tripod heads and monopods. All replacement feet feature the same dual safety stops and flash bracket compatibility as our lens plates.